Social Media Optimization | SEO services And best website design in India. 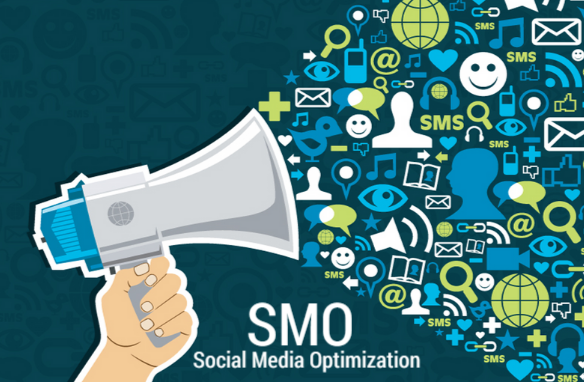 SMO plays a vast role in making Brands image. Social Media Optimization (SMO) is the process where social media networks are used to attract the clients. 40% of World population uses Internet. It means a vast group of users are present on social networking sites. If we go on number, 1.71 billion people have Facebook account and 313 billion users are actively participating in twitter, this list is always going on up in the number. Social Media Optimization is not limited only to Facebook or Twitter, it is connected to every aspect with which you are joined socially. It helps your business to grow. Nowadays, every company move towards Social Media whether it be any big company or some small firm. Everyone has their social Media presence. Social Media Optimization Expert at our company make it sure that your Company’s page or profile is visible on Social Media Network and if some body searches your product then they should must lead to your social Media Profile. Making Social Media Presence helps you to gain potential and genuine customer for your product. This increases your sale and your company’s growth in all terms. Having a social media presence maintain your brands image and customer can connect to brand through anytime and anywhere.